Cooking for weekdays is becoming a juggling act for me. I try to keep things simple, but I still want my family to eat something fresh. My two year old is in his “terrible-twos” phase. So vegetables usually go untouched. I am finding new ways to include it back in their diet. 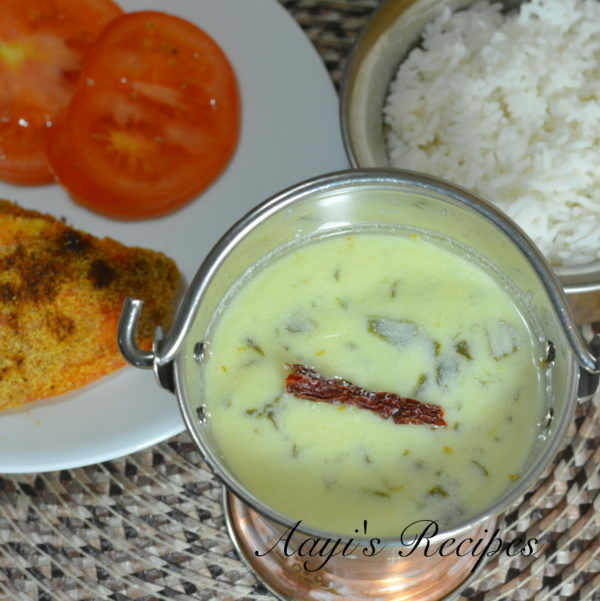 Last week I tried this kadhi. 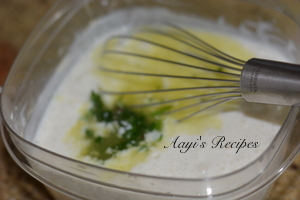 It was simple, delicious and easy to make – 3 things which I look for in whatever I cook. Also check this spinach tambli. Heat oil and add all seasoning. Then add spinach. When it is wilted, add water, salt. 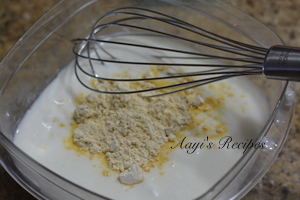 Mix gram flour in buttermilk and mix well. Then add some boiling spinach water into it. Add the mix back into boiling water. Cook for few mins. 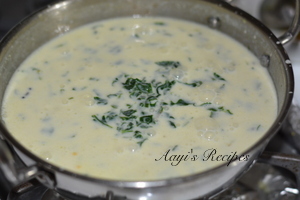 A spicy, healthy and easy kadhi prepared by cooking spinach in buttermilk gravy. Heat a little oil and fry mustard seeds, urad dal, cumin seeds. 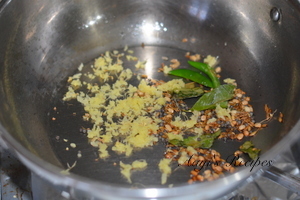 When they start popping, add green chillies, curry leaves, asafoetida, ginger. 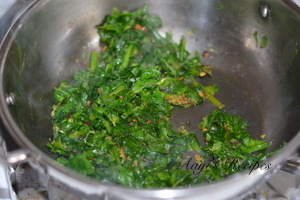 Fry for few minutes and then add turmeric, spinach. When spinach is wilted, Add a cup of water, salt. Bring to boil. In a separate bowl, take buttermilk, besan and mix well to remove any lumps. Now add a ladle full of spinach-water mix into yogurt and mix very well. 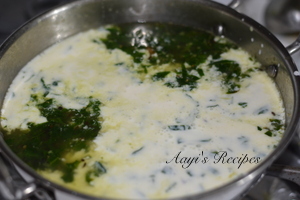 (This step helps in bringing up temperature of buttermilk and so it does not curdle much when heated). 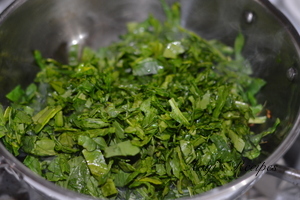 Beat the mixture very well and add it slowly back into the boiling spinach-water. Cook on a medium-low heat. Mix it occasionally to avoid any curdling. Serve with rice and some spicy side dish. Thanks for this recipe Shilpa. 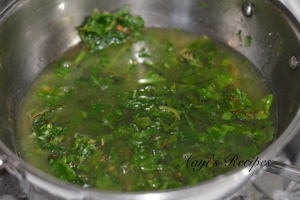 Also checked your spinach tambli recipe..am going to make that too soon. Looks wonderful! Will add in some younger swiss chard leaves, too.